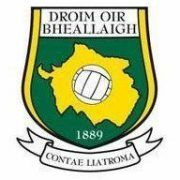 The best of luck to Eoin ward Gary Reynolds and Enda Lyons and the Leitrim management and team Saturday when the play Derry in the division 4 Final In Croke Park Dublin ..
U13 Bara Waste and U17’s Newtowngore Engineering ..
Best of luck to the Leitrim Senior Team who play Derry in Croke Park on Saturday at 3pm in the Division 4 League Final. Congratulations also on getting promotion to Division 3. County Game – The County boys had their first defeat of the League on Sunday last but they put up a good performance with neither side anxious to show their hand. Nice to see Mohill’s Oisín Madden joining Shane Quinn and Domhnaill Flynn on the panel. Sunday next they play Waterford, so a large crowd will boost the morale as they head to Croke Park. 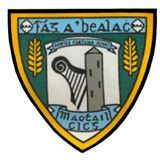 It is hoped to run a bus from Mohill to the Div 4 final so contact Therese Foy or any club officer re same. Underage – The weather dictated play all last week with cancellations all round. The second Under 13 team made up of 10 and 11-year-olds found the going tough against a brilliant Annaduff team but all played very well and most have a few years left in that age group. The full panel was: Cillian Walpole, Frankie McManus, David Murphy, Darren Brennan, Ryan Gordon, Tomás Mayock, Thomas Casey, K McCaffrey, Rían Walpole, Codey Tighe, James Dimmock, Dean Reynolds, Shane Mayock, John Macklin. 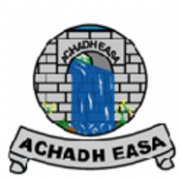 Div 4 – Our third team play Aughawillan in Pairc Philib on Sunday at 12pm. Pat Clarke – We extend deepest sympathy to the family of Pat Clarke, Gortletteragh who died following a short illness last week. Pat was a great supporter of Leitrim and Gortletteragh all his life. Ar Dheis Dé go raibh sé. LOTTO – Our next Lotto draw will be held in “The Dugout” on Saturday 23rd March. The Jackpot now stands at is €13,000. Lotto envelopes €2 each or three envelopes for €5. ST JOSEPH’S BOYS – Well done to our U13 team who had a good win on Monday against Melvin Gaels in Carrigallen. We were short a few of our panel on the day but all the lads played well and the win puts us through to the knock out stages of the competition. 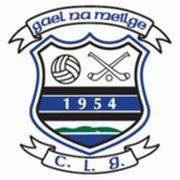 Thanks to Melvin Gaels for travelling to Carrigallen as this game was listed as a home fixture for them. LEITRIM HEALTH IS WEALTH 2019 – Promoting positive health and well being in the Bush Hotel on Wednesday 27th March at 7pm. All are welcome and admission is free. Fun Games/Skills Camp – The club is holding a free6-weekk fun games and skills based camp for all primary school children in the area. Club players Ailish Cornyn and Seamie McMorrow will be the main coaches. It begins on Monday 25th March from 5-6pm in Dowra Resource Centre. Information leaflets with more details will be distributed into the primary school this week. Any parents, club players or members willing to help out at the camp please contact Ailish Cornyn on 0876908290 before Sat 23rd March. 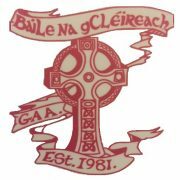 Club Meeting – March Club meeting on Monday 25th March at 9.30pm in the hall. 200 club draw will take place on the night. Race Night – Date for your diary is Sunday 5th May for the Annual race night. More details later. Defibrillator Course – For all those who expressed interest in doing the course, it takes place on Thursday 21st March at 8pm in Ballinaglera hall. Lotto – There was no winner of this week’s lotto jackpot of €5,500 with the numbers 18-23-25-27 drawn out. The 5 winners of €20 are: Sharon McNulty; Drumshanbo, Teresa McCawley; Dowra, Kaila Leigh Smith; Drumkeeran, Phil McGowan; Drumshanbo & Blake Smith; Drumkeeran. Next week’s jackpot now stands at €5,600. Thank you again for all your support. 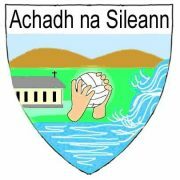 Swan Bar Division 3 League – the juniors play Fenagh this Sunday morning in the league in Fenagh at 12 noon. Best of luck to James, Cyril, Danny and all the team. All Support greatly appreciated. Barna Recycling U-13 League – The lads were well beaten by a strong Fenagh team in the league onMondayy morning last. We are down to play Manorhamilton next but no details to hand yet. Check Facebook for more details. Leitrim – No joy last weekend for the lads against Derry and we play our last game of the league this weekend against Waterford in Pairc Sean on Saturday at 4pm before our trip to Croker for the league final so best of luck to Diarmaid, Kevin & Alan and the rest of the team and management. 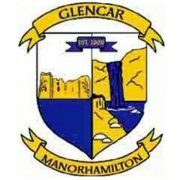 Leitrim Supporters Club – Anyone wishing to support the team can do so by purchasing a Supporters Club ticket from club officers over the coming weeks. First prize is €5,000 and the draw takes place on April 6th. Dinner Dance – The Dinner dance was held last Sunday night in the Lough Allen hotel and a brilliant night was had by all. Well done to Colin Moran who was awarded the U-17 Player of the year, Cian Beirne Junior player of the year & Caleb Duffy Senior player of the year. Thank you to all who came along, John Lynch our MC, Terence Boyle, Terry Hyland, Late Night Radio, The Keane Family, Gareth Smith, Neil & Ann Marie McManus and all the staff of the Lough Allen Hotel and all the Committee for organising the event. Sympathy – The Club offers our deepest sympathies to the Reynolds Family on the sad passing of Brendan in the USA. May he rest in peace. Leitrim’s Health Is Wealth – Leitrim’s Health Is Wealth takes place this year in The Bush Hotel Carrick On Shannon on Wednesday 27th March at 7pm. Speakers include Adi Roche, Angela Hayes, John Lonergan, Mikey Drennan, Kristen O’Reilly, Prof. Geraldine Mc Carthy and Alan Quinlan. MC on the night is Ballinamore Man Paul Williams. This is a night NOT to be missed and from the crowds of previous years it is advisable to come early to get a good seat! House €40: Bernadette & Martin Dowd Sponsored Breege Farrelly.. Next week: the draw will take place in Jackie’s bar with a Jackpot of €2000. Lotto – results draw March 10th – Nos 5 10 15 16 – no Jackpot Winner – House Draw €25 Brendan Sammon – Sponsored Brendan Meehan – €25 Michael McGirl, M.J. Creamer, Sharon Flynn, Michael Horgan, Leah Donohoe, Adrian Cullen – next Draw Sunday March 24th in Jackies with a Jackpot of €2,375 so make sure to have your ticeidi in the Drum. Liatroim – Great to see such a big Leitrim crowd in Celtic Park on Saturday last despite the awful weather – this was a Dress Rehearsal for the meeting of Liatroim and Doire in Pairc an Chrocaigh on March 30th Leitrim put up a good fight but a few mistakes cost them great to have our two Clubmen Sean and Connor on the field – the game finished on a scoreline of Doire 2 16 Liatroim 1 12 – Well done to Jerome who has organised the Supporters Bus to all the away games – a fantastic service with great fun and banter – not an easy job to organise and also having the pit stops and food organised – well done Jerome it appreciated by all who travel on the bus. Yellow River Drama – All roads lead to Achadh ná Síleann Community Centre next weekend for the much-anticipated performance of Wake in the West by the recently formed Yellow River Group – first night is Friday 22nd, 23rd and 24th with curtain up at 8 30 so make sure to get there in time – no booking. Best of luck to the Cast and all involved with this production – Look forward to seeing you all in Achadh ná Síleann over the weekend. Comhbhron – Deepest sympathy to the family of the late Michael Duignan Curraghnabania on the recent of Michael – may he rest in peace. New Arrival – Many congrats to James and Joanne Gilmartin on the recent arrival of their baby boy, Daniel. Hurling – Well done to our Senior hurlers who had a 1-18 to 4-6 win over Tourlestrane in the Dermot Molloy Hurling League on St Patrick’s Day. 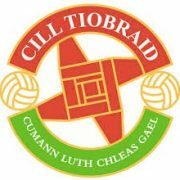 Underage – Our U13 team played two home games against Dromahair in Division 1 and St Brigids in Division 2A over the Bank Holiday weekend. They had mixed fortunes with the Division 1 side winning and the Division 2A side coming up short against St Brigids. The U17’s fixture versus St Joseph’s was called off. All fixture details relating to our U13 and U17 teams will be posted on our Facebook Page. Please show your support. 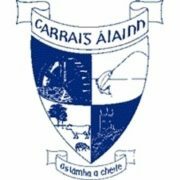 Gaelic4Girls – This programme continues for another 6 weeks every Monday 7pm to 8pm at St Clare’s National School. It is fantastic to see so many enthusiastic girls enjoying themselves while learning the skills of Gaelic football. It is open to girls aged 8-12yrs who are not part of a Ladies Gaelic Football Club and who are interested in learning the skills of the game. All girls in this age group from the area are encouraged to attend. 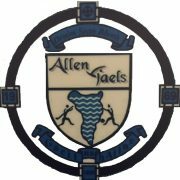 They will be taught the basic skills of Gaelic football on a fun basis and will get to demonstrate their new skills at a fun mini-blitz. All girls will be presented with a Gaelic4Girls Jersey and certificate. A major bonus from the programme is that all participants will get the chance to participate in a Mini Blitz with another Gaelic4Girls site. The cost for the entire programme is only €10. Anybody who would like more details on this programme is asked to contact Bernie McMorrow on 086 1234634. 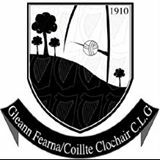 Leitrim – Hard luck to Leitrim who were defeated by Derry in Celtic Park at the weekend in what was a dress rehearsal for the Allianz League Final to take place in Croke Park on Saturday 30th March. Good Luck to the team who play Waterford at home this Saturday at 4pm. 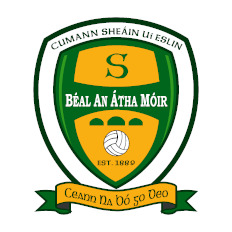 Leitrim Supporters Club – Leitrim Supporters tickets are now on sale from the Club for €50 and can be acquired by contacting Phil Flynn. St Patrick’s Day – It was great to see a large crowd in attendance for the Manorhamilton St Patrick’s Day Parade on Sunday evening. Full credit to those who organised and all who took part to make it a most enjoyable occasion for all ages.